Built in 1933 by W Denny Brothers of Dumbarton for Williamson-Buchanon Steamers (which were bought by the London Midland & Scottish Railway in 1935) and launched as QUEEN MARY, this is a steel hulled vessel built to carry mail and passengers out of the River Clyde to ports on the west coast of Scotland. She is powered by three steam turbine engines propelling triple screws. Her name was changed to QUEEN MARY II in 1935 to accommodate Cunard’s newly built QUEEN MARY. During the Second World War, QUEEN MARY II was painted naval grey and maintained the Gourock to Dunoon service for over six years and also served as a tender for ocean-going vessels. Later she was operated by the Caledonian Steam Packet Co. Ltd, coming under the auspices of Caledonian MacBrayne in 1973. 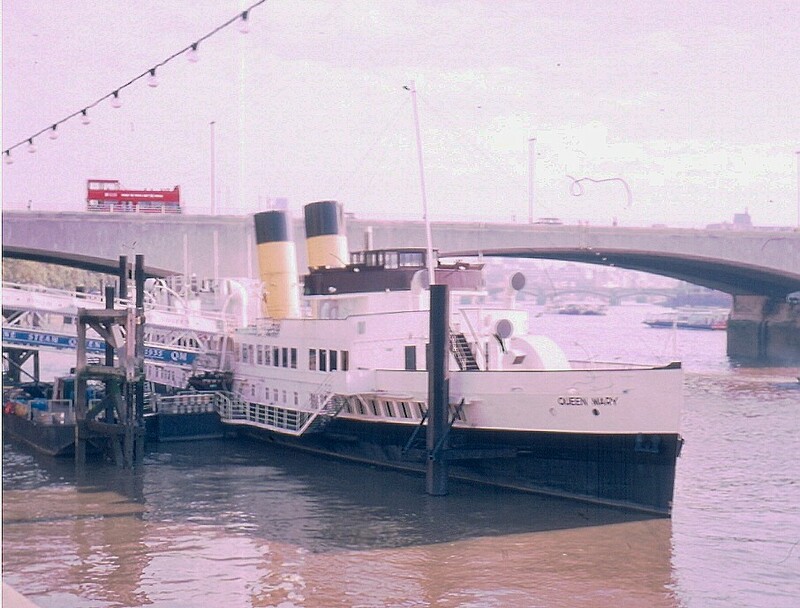 Withdrawn from service in 1977, she was bought by Glasgow City Council from 1978 to 1980 for a Clyde maritime museum project which was abandoned on financial grounds. 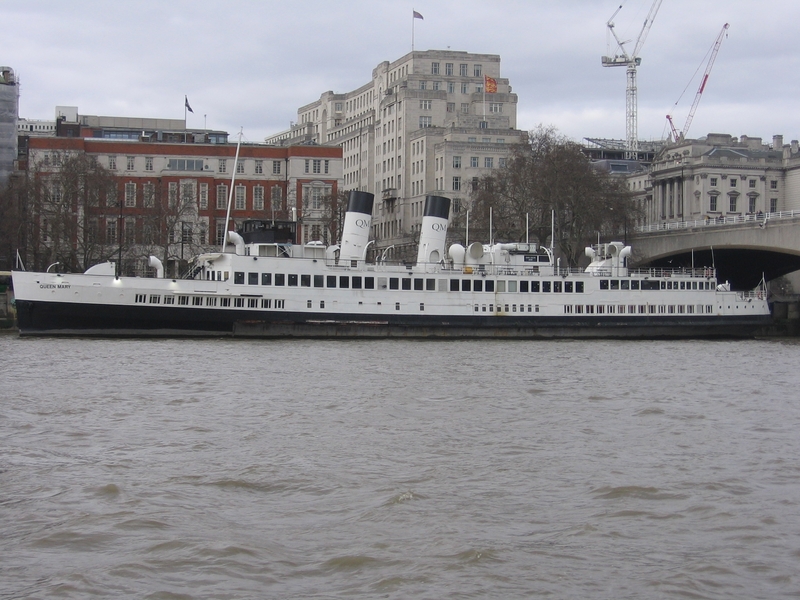 She was moored at various London docks between 1981 and 1987 until purchased and converted to a bar and restaurant and moored by Waterloo Bridge in central London. Her machinery has been removed, although an original steam turbine with propeller stands in the lower deck cocktail bar. In 2016, she was successfully towed back to the Clyde and is currently docked in Glasgow. 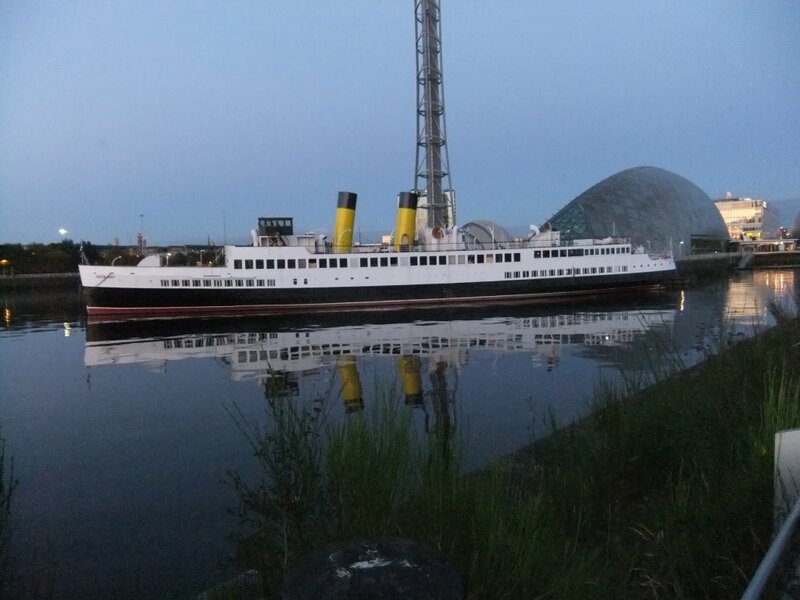 Since rescuing the vessel from being scrapped, in 2015, Friends of TS Queen Mary have raised and invested £2million in the project to restore the vessel as a heritage destination and education centre, moored at Glasgow Science Centre on the River Clyde.